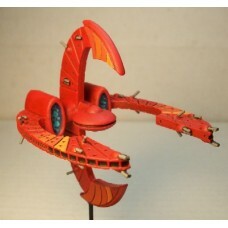 The Auran Dominate is a creation of Robert “Toaster” Provan, and these designs are inspired from his scratch-built ships. 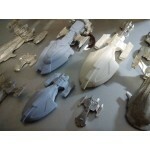 I made each one with the elements that I thought worked best for each class of ship, along with some of my own ideas. 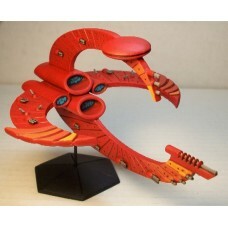 These are also a bit smaller than his ships, and will fit in nicely with most all of my capital ships. 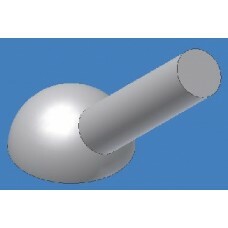 Each ship will come with a set amount of weapons (based upon their class) that can be mounted in any of the spots provided on the hull. 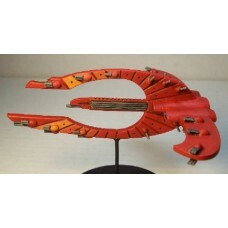 Additional weapons can be ordered separately, and they are all interchangeable between the different ships, so you can up gun any or all of them however you wish. 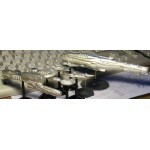 These 6 each sprue Area Defense Turrets are meant to help ward off fighters and other small craft, .. 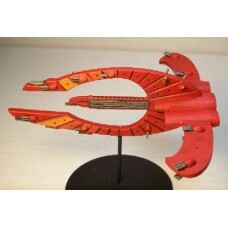 The Battlecruiser 4-1/8"L x 1-1/2"H x ~4"W (105mmL x 38mmH x ~100mmW), comes with 2ea small wings,.. 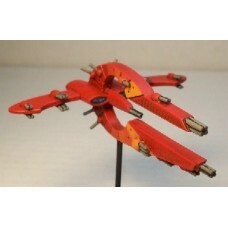 The Battleship 4-1/8"L x 1-1/2"H x ~4-3/4"W (105mmL x 38mmH x 120mmW), comes with 2ea large wings,.. 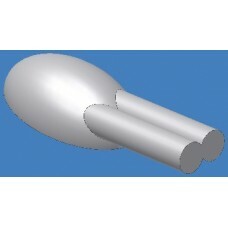 The Carrier 3"L x ~2-1/2"W x ~3-1/4"H (77mmL x 65mmW x 82mmH) in three parts. 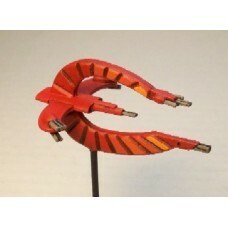 The "Wings" are the .. 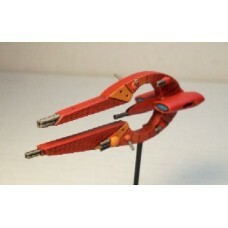 The Cruiser ~3"L x 1-13/16"W x 1"H (76mmL x 46mmW x 25.4mmH) , comes with 2ea small wings, 2ea sin.. 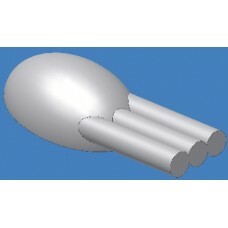 This Destroyer ~2"L x 1-1/16"H x ~3/8"W (50mmL x 27mmH x 9mmW), comes with 2ea single turret and 2.. 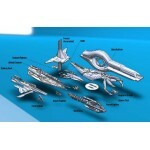 These 6 each sprue Double Turrets are meant to help ward off small craft, and are compatible with a.. 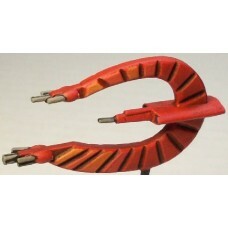 This Frigate is ~1-1/2"L x ~1-1/8"W x 1-1/8"H (38mmL x 28mmW x 28mmH), comes with 2ea Plasma canno.. 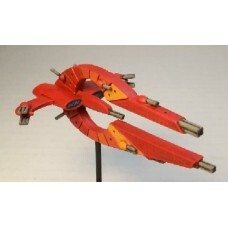 The Heavy Cruiser ~3"L x 2-3/4"W x 1"H (76mmLx 70mmW x 25.4mmH), comes with 2ea larger wings, 2ea .. 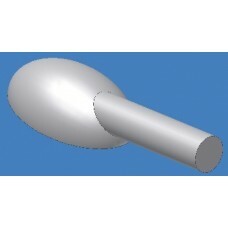 This Heavy Destroyer is ~2"L x 1-1/16"H x ~1-3/8"W (50mmL x 27mmH x 36mmW), Includes: 2ea small wi.. 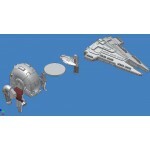 The Light Cruiser ~3"L x 3/4"W x 1"H (76mmL x 19mmW x 25.4mmH) , comes with 2ea single turret, 2ea.. 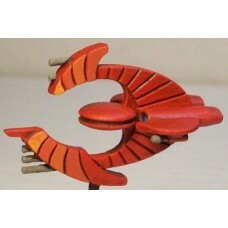 These 4 each sprue Plasma Turrets are meant to help ward off small craft, and are compatible with a.. 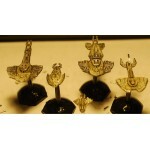 These 6 each sprue Single Turrets are meant to help ward off small craft, and are compatible with a.. 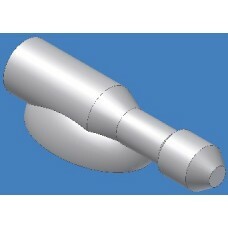 The Super Dreadnought is 5-3/4"L x ~4-1/4"W x ~2-13/16"H (146mmL x 108.5mmW x 72mmH) in four parts.. 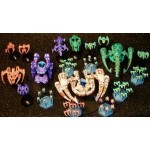 These 6 each sprue Triple Turrets are meant to help ward off small craft, and are compatible with a..